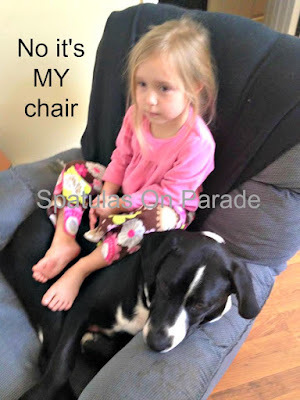 My friend Tamara from Confessions of a Part Time working mom came up with the idea of doing an IKEA post. She lives in Switzerland and so this is in her neighborhood. I myself have never been to one or seen one but have friends that have. So I reached out to them for help. One in particular. I made a questionnaire and emailed it to her. 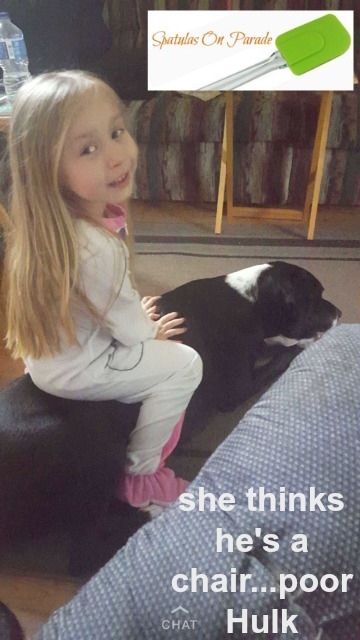 Unfortunately things happen and she was unable to get it done. So I do know that she shops there, it is a 4 hour drive for her, that she has gone by herself, with girlfriends and with her entire family. That means hubby and 4 kids! I also know they ALWAYS get the meatballs.??? Yeah I said meatballs, at a furniture store? Yep that's what they tell me. I also did some research on IKEA. Seems they are famous for several things, furniture, meatballs and sweets. 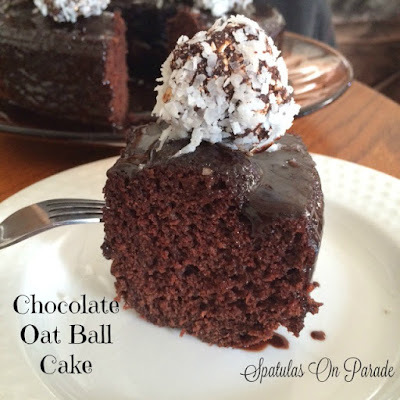 The "cousin" to their famous meatballs are the oat balls. Here is a photo I found online. So you know, since I am a choco-holic and love sweets. THIS would be what would spark my interest and gears a grinding for a new recipe. So I searched around and found several recipes for the oat balls and then did my own version. That just wasn't good enough. How about an oat ball cake?? I also learned that Swiss children make these as young as 5 years old, it's a tradition. Very cool. No baking required. 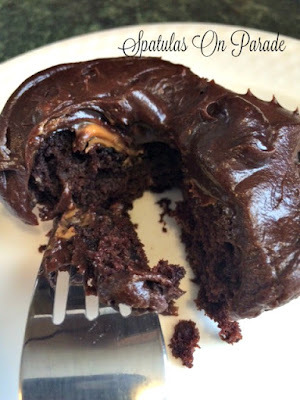 Very simple recipe and I can see how kids would enjoy it since you roll the "dough" around in your hands to make balls. 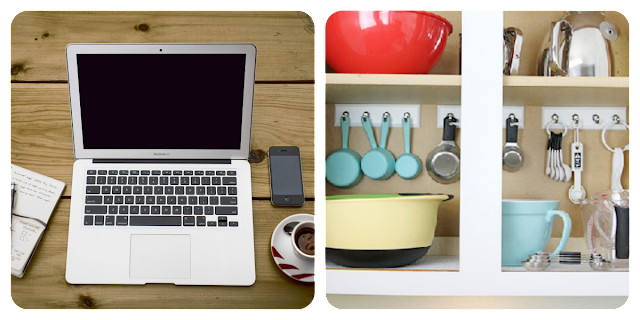 IKEA has been around for over 70 years depending on what country you live in. IKEA turned 30 in the U.S. last year. 42 in Switzerland, 72 in Sweden....you get the picture. Speaking of pictures...this is the photo that sparked the idea. I had forgotten but about 7 years ago a dear friend gave me a cabinet. He was going to toss it out and I liked it. He said "here, take it, it's IKEA" I didn't know what that meant and just said okay thank you. LOL so here I am years later writing a post about IKEA. This cabinet has served me well. It has been in the bathroom, office, craft room and kitchen. Depending on where I was living at the time. I have learned that it is sold as a "bathroom cabinet" go figure. The recipe is not very difficult, you can make the oat balls and not the cake but why? 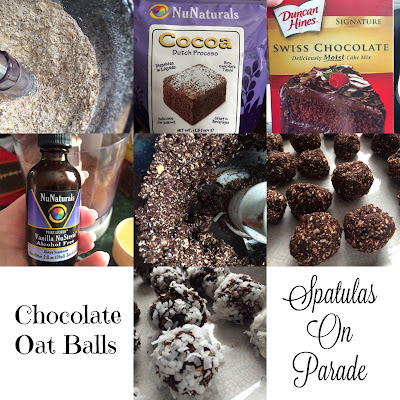 LOL however, I can say I WILL be making the oat balls again. They were very good and big hit. Hoover, who swears he doesn't like chocolate loved them and W ate them as well. He's not a big candy, cake, sweets eater but he really liked the oat balls. 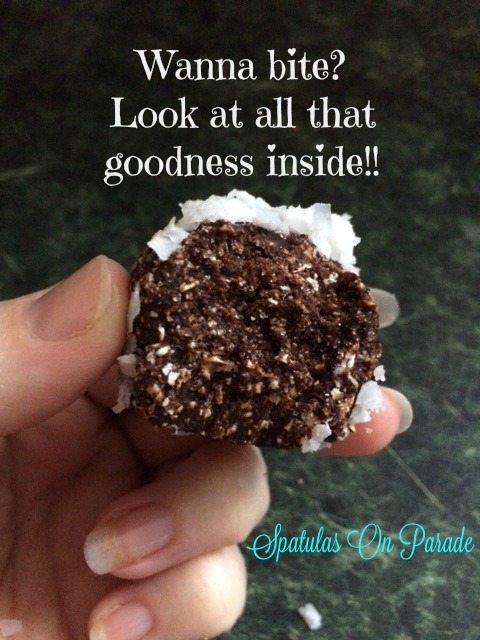 1 cup coconut flakes (to roll the balls in) I saw them rolled in powdered sugar, cocoa powder, crushed nuts, dipped in chocolate and left plain. The sky's the limit. 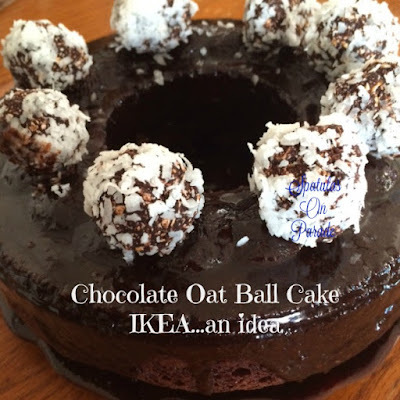 I saw the oat balls made with the oats whole but it looked dry and unpleasant. I noticed the ones from IKEA looked chopped or minced inside so I decided to put the oats in the food processor for a few seconds. Then added the sugar and cocoa powder. Hit the pulse button so it would blend, next came the butter, vanilla, cappuccino and melted chocolate. I blended all this until it became a crumbly consistency. At first I thought now how will these stay together but as soon as I took a teaspoon full or so out and placed it in my hand I saw it would form a ball just by putting a gentle squeeze on it. 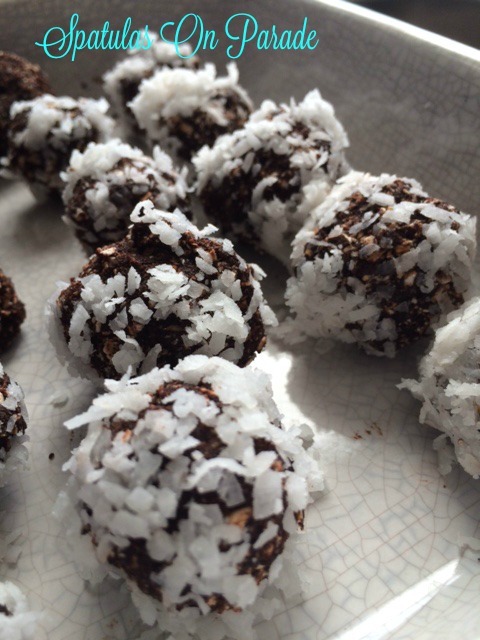 So I proceeded to make 24 balls, then rolled them in the coconut. I was really hesitant to be honest, so I took a bite. OMGosh that was good! After chilling in the fridge for several hours they were even better. 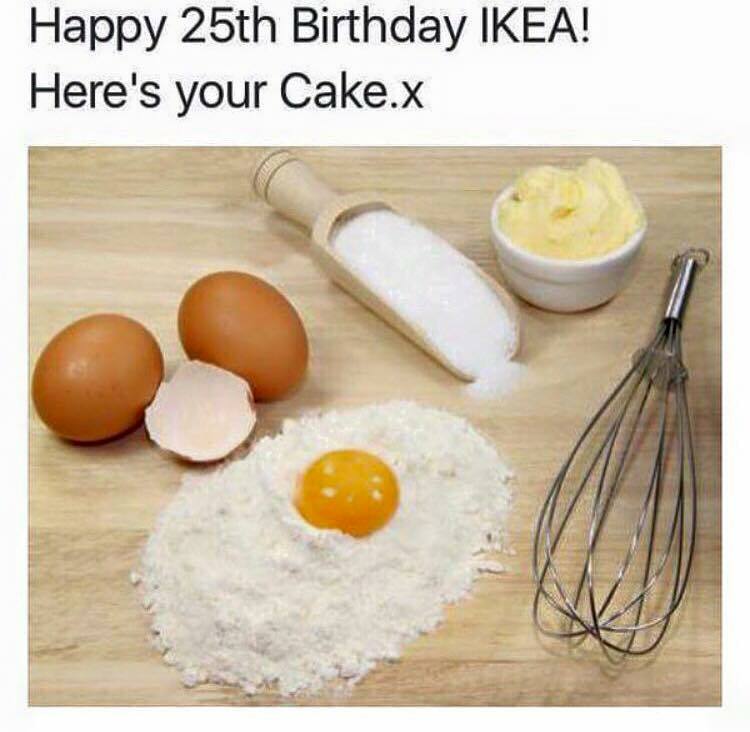 Please be sure to visit the others who joined in on this HAPPY BIRTHDAY IKEA post. 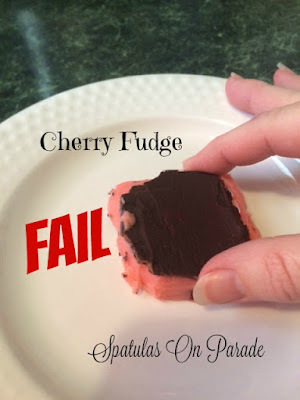 I know that Valentine's Day has passed but it doesn't have to be VDay for you to fix a sweet treat for someone special. 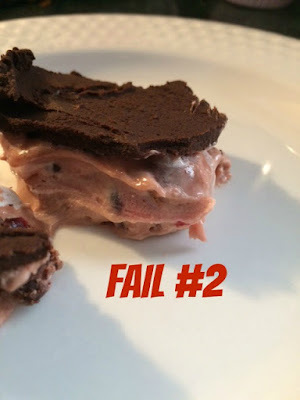 I love desserts, as you can tell from this blog and I love two flavors in particular : cherry and chocolate. I mean who doesn't right? Well, I actually do know some folks who can't stand cherry but I'm not one of them. I have been on a sweet kick lately, oh come on, who am I kidding? It has been so long now it has reached addiction status! I NEED to get off sugar and sweets but who wants to? Not me. So in my quest for a new treat, one that could be more of a finger food and would last a while IF I decided not to eat it all in three days. I ran across a recipe on Facebook. No idea where it originated from or I'd give someone credit, but it sounded good, easy and quick. Three good reasons to make it! **Note after searching high and low I found the recipe. See link below. 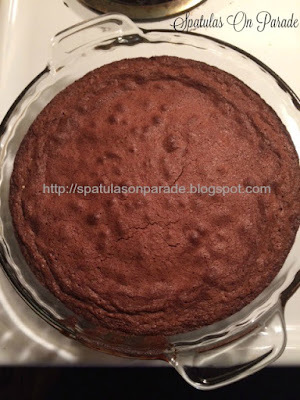 Now, I did not pay good enough attention to the recipe when I saw it the first time and when I went to make it, I could not remember the exact ingredients, so I improvised. Here is the FAIL photo...sad looking pink stuff. That is NOT always a good idea (improvising). See, the fudge as it is called DID NOT set. I froze it and it was still too soft to pick up. I was disgusted and threatened to throw it out. I took photos and was planning on posting with a note about how soft it was. THEN it just kept bugging me. I HAD to find a way to fix this mess. I had it in the fridge for almost a week and it STILL had not "set" like fudge normally does. Hoover says "Dawn don't throw it out, I don't care what you call it but this stuff is dank! I'll eat it anyway" well thankfully he forgot it was in the fridge otherwise I would not have been able to fix it. HERE is the "Fixed" fudge!! OR as I call it FAIL #2. You have NO idea how this is bugging me. I do NOT fail at recipes. I just don't. Here it is, doesn't this look FABULOUS? NO it does not, you know why?! Because even after the "fix" it would not set up. After being in the FREEZER for FOUR hours it STILL did no set!! Now the taste is wonderful but it is Not figure friendly unless you like the shape round! Best part? 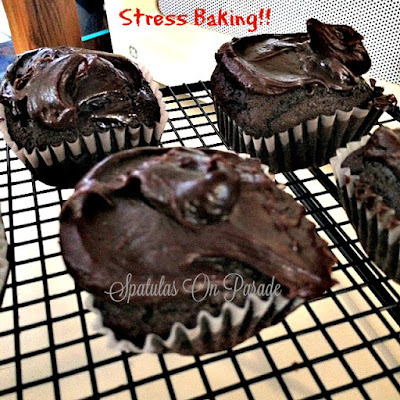 There is no baking required and very little prep time. Down side? It will not set up no matter WHAT you do. In a sauce pan melt the butter and sugar, stir to make sure it is combined well. Next remove from the heat and add in the cream and jello. Stir well. Your mix will thicken and be a very pretty cherry pink. Now add in the salt and bag of chips. Stir until melted and combined well. Tear a piece of wax paper or parchment and place in an 8 x8 pan so the paper hangs over the sides. Pour the mixture into the pan and place in the fridge for at least 3 hours. When it has set, melt your dark chocolate and spread on top. Now return to the fridge for another hour. Slice into squares, however small or large you prefer and store in an air tight container in the fridge. This should keep for a few weeks IF you can leave it that long! 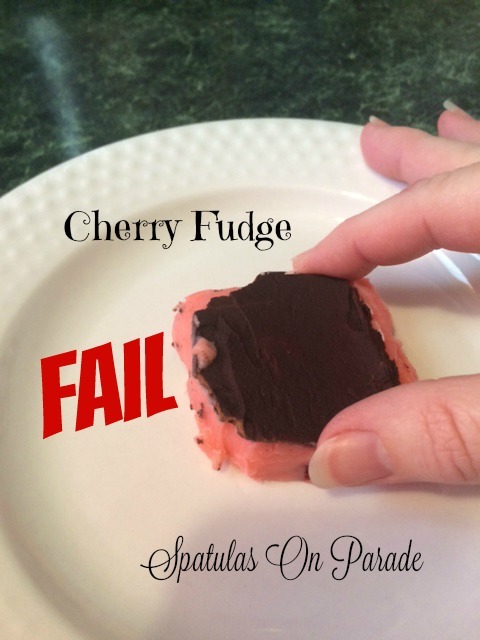 It really does taste great, just not a piece of fudge you can pick up, walk off with and eat. Too soft. **it did NOT turn out like it should have. It never would "set up" and I searched and searched until I FINALLY found the video. Ah Ha! I forgot one major ingredient. Marshmallow fluff! THIS explains the "fudge" not setting and becoming firm. LOL read carefully AND make sure you don't forget an ingredient. I thought this might add to the "Funny Friday" post since I screwed this up. Oh well, no one's perfect. I melted the original mess down, after I pulled as much of the top coating chocolate off as possible, then added 1 cup of marshmallow fluff, melted, stirred well and poured into a 8x8 square pan lined with wax paper. Popped it in the fridge for a hour, spread on the newly melted chocolate. Because it seemed to be setting up.1 cup semi-sweet chocolate chips along with the topping from before and 1 TBSP of butter. 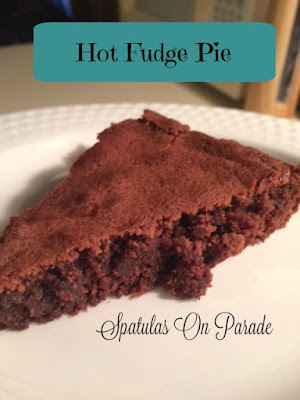 Spread that over the fudge and placed in the fridge over night. It STILL did NOT set up! It was actually softer. So I popped it in the freezer. STILL did not set up. I give up. OMGosh talk about sweet and yummy!! However, I am sure it might work IF all the proper ingredients were used the first time but I'm too fed up to find out. Hoover likes the "fail" so I let him eat it and just said stick to what you know. And I obviously don't know fudge. 2. Hey lady, stop standing there watching me, I know I'm blocking the aisle but I'll move when I'm done! 3. Mommy needs coffee, we must not forget the coffee! When under stress I do several things...cook, eat and clean. Today (2/24/16) I have cleaned my floors, rearranged part of the extra room, put up a shoe holder, cooked twice, did dishes four times, cleaned out the fridge, cleaned under the freezer, baked and ate..too much. I have also been writing post. WOW being forced to stay home from work due to the weather and stressed has made me quite productive. I wanted chocolate. Any chocolate and being without a candy bar I decided to bake. Just look at those cupcakes! I used my square muffin pan from Pampered Chef. I've had it about 6 years and only used it twice. How sad is that? For the cupcakes see THIS RECIPE,(I also doubled the recipe) I baked them for half the time (10 minutes), then added a 1/2 tsp of Biscoff spread and baked for 7 more minutes. Then topped with chocolate frosting. Oh gosh...please don't ask how many of these I ate. This is what happens when we are under a tornado watch, the wind is shaking the house and sounds really really loud. I'm stress baking. Hoover is stress eating. Marshmallow fluff and peanut butter sandwiches and leftovers, pizza and then supper. The power is off and on. I watched my neighbors trampoline blow past our front window, thankfully missing my car. Good grief...I'm writing this as it unfolds and as the power is on. Today is February 24th. Not sure when I will post this so you may read it a week from now and be like "WTFrak man". High winds, heavy rain, debris blowing by, limbs falling from the trees. Hoover and I are home alone. I can handle a crisis. Keep calm, reassure the kid, love on my kitty because he's all freaked out, watch the weather and blog as the on again off again electricity allows. See that red mass, it was headed our way. Thankfully it went around us but we continued to have high winds and horrible rain until late into the night. It is now 10 p.m. and we are still under an advisory. I am exhausted, full and ready for bed. Hope you enjoy the cupcakes as much as I did. If you are in a weather advisory, be safe, don't take chances, make an escape plan and talk to your children so they are not scared. You know what that means right? Yep...new recipes! Have you ever heard of or had a hashbrown casserole? I used to fix it many years ago as a side dish or when I did a BIG breakfast. I remember the first time I ever ate it, it was at a MOPS meeting. Each group took turns providing food for our meal. We met every other week and with 8 groups no one had to fix food EVER time so this did not make it a hardship on anyone one person or group. Oh wait, you don't know what MOPS is? MOPS = Mothers Of Pre-Schoolers. One of the BEST things in the world! I was on the Steering committee for 6 years and loved every moment of it. I honestly can say that those 6 years were the best. We had so much fun, built friendships that I still have to this day, learned as mothers, wives, women and Christians. I held many positions during those six years. All in fact except two. I was not a Titus Woman or the Director but I was Interim Director for a time. Okay sorry, I got off on a tangent. Back to the recipe. Hashbrown casserole was a regular feature at our meetings. It never failed we had one sometimes two of them and you can bet every crumb was devoured. It's amazing how much food a woman can eat when she doesn't have her baby or toddler begging for every other bite. 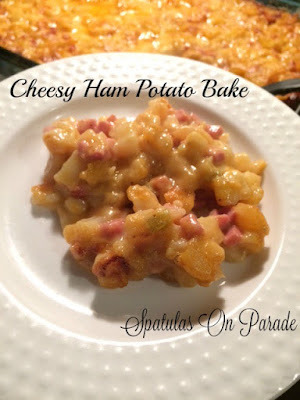 One weekend I decided to make a hashbrown casserole but thought I'd change it up and add ham. See the original recipe has no meat. Well, last week when I decided to make one, for the first time in over ten years, I really changed up the recipe. When I served this T aka Hoover took one bite, his eyes rolled and then I heard "hmm OMG Dawn this is freakin' fabulous!" another bite "OMG this is soooo good"
It must have been because the boy ate 3, yes 3 large plates full and then 4 hours later at 11 pm he finished the leftovers. I'd say it's a winner! By the way, the tiny plate you see above was mine. Hoover was like, I thought you were hungry. Teenage boys, eye roll. In a bowl combine your soup, milk, cheese and seasonings. Stir well. In a greased pan add the hashbrowns and ham, stir, then pour the liquid mixture on top. Stir well. You can do this in a LARGE bowl and pour into the casserole pan or stir it all in the pan but be careful as it is a lot. spread into the pan, which will be full and : Bake at 375 degrees for 60 minutes, this will be bubbly and golden brown, allow to sit for at least ten minutes so you can serve it up without it being runny. The cheese will cool and hold it together. DELICIOUS serve with a salad or your favorite vegetable. You can also serve this for breakfast with a big bowl of fresh fruit and biscuits. This was soooo good. So good in fact that I made it again last night. Hoover and I enjoyed it a lot and today when I get my break and go home, I'm eating some more! Introducing our new 15th blog host of this party: Bath Time Fun Time a rich source of games, toys and ideas for moms and families with babies ...by Saira Perl. 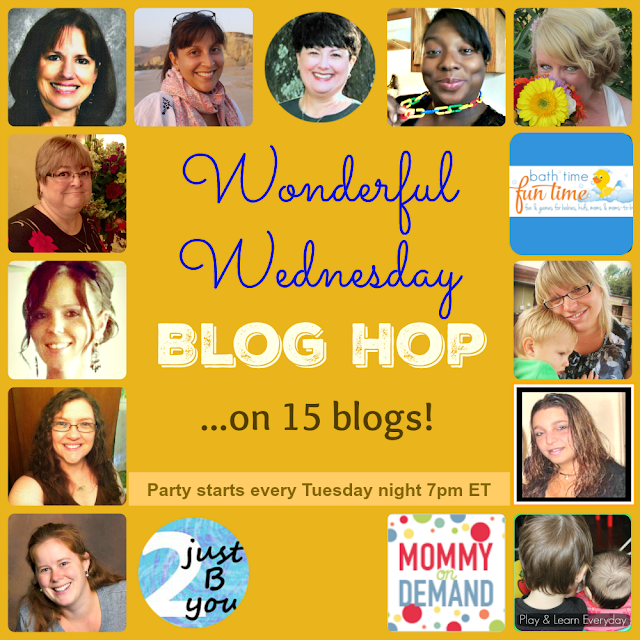 Last week we had 662 super posts shared at our party... here are the most popular! 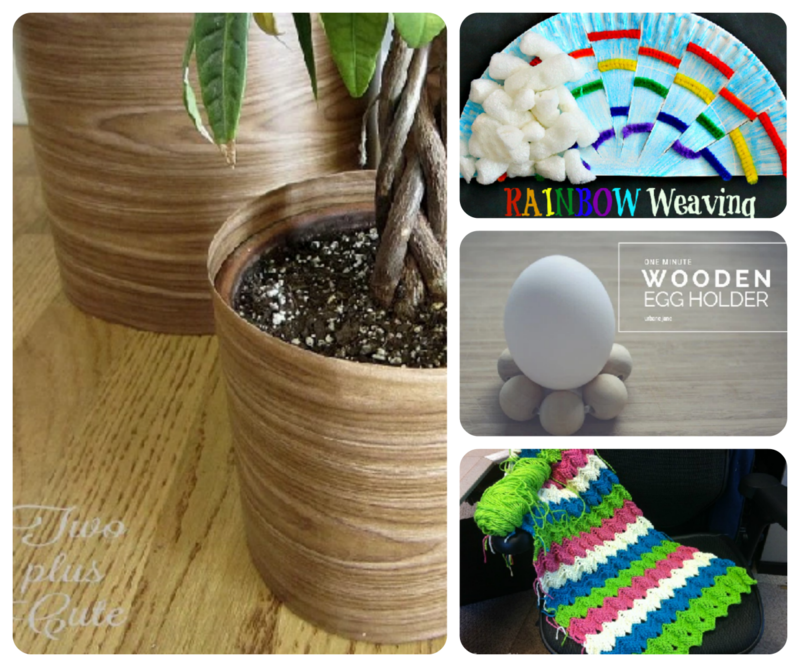 There were so many excellent shares this week, it was too hard to pick only one. Hey, it was hard to pick four, but I did it! And now for this week's party! Saira from Mom Resource and Bath Time Fun Time *NEW !!! Happy Saturday and welcome to the March edition of "Crazy Ingredient Challenge". 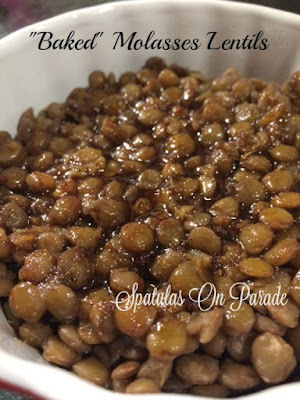 This month our group voted and came up with "molasses and lentils", wow that could be crazy but once I gave it some thought, it really wasn't that hard. I'm not a big fan of molasses unless it is in cookies but I do enjoy lentils. When thinking about WHAT to do with the molasses, I thought about baked beans, so why not substitute lentils? They make a great side dish, vegan/vegetarian and packed with protein. Serve at your next BBQ , potluck or family dinner. Cook the lentils until done, drain if needed. stir well and pour over the lentils. Stir and bake for 15 minutes in a ramekin. I have been having chocolate cravings like a mad PMS woman here lately. What to do, what to do? Well, simple, you BAKE! Yep, that's my go to. Unless I'm out driving and then my go to is a quick stop at the nearest store and buying a candy bar. NOT something I do often. Honestly about once a month. I much prefer baking my chocolate than buying it in a wrapper with God knows what for ingredients. I made this hot fudge pie. Hot because it is best right out of the oven, this is when it is hot, gooey and fudge like. Oh man, and the next day you can just nuke a piece and it's gooey all over again. 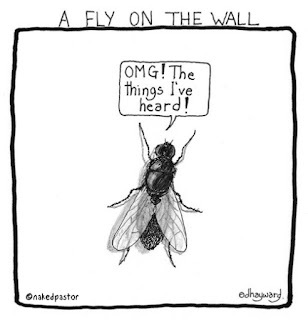 This of course is also the #FlyOnTheWall post! 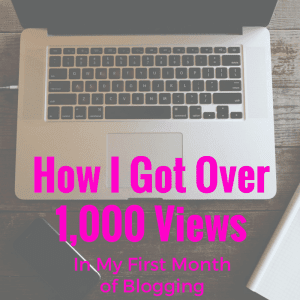 Which as you know means a peek into my life and the lives of my blogger friends. Be sure scroll down to find their links AND read about what's been happening in my life recently. IF you can move past the recipe. Cream butter and sugar with an electric mixer, add in the eggs and vanilla. Next BY HAND, this is important because if you use the mixer the pie will turn out cake like not fudgy, add in your cocoa, salt and flour. Stir well by hand. Spread into the prepared pan. Bake at 350 degrees for 30-35 minutes. slice and enjoy! If you bake it too long you will have a dry brownie, you want it moist but not runny so keep an eye on it the last few minutes. My oven took 30 minutes and as you see I used a glass pan, the baking time will vary if you use a metal or ceramic pan. When I was little Kenny Rogers had a song "Lucille" and one verse says "you picked a fine time to leave me Lucille, with 4 hungry children and a crop in the field"
I thought it was "with 400 children and a crop in the field"
I'd always say "If i had 400 kids I'd leave too"
VAN: "Hey, where did we go?" JACK: "Did he just say, "hey, wet amigo?" Lol! 😂😂 We'll be singing it this way from now on. Now, share your favorite misunderstood lyrics in the comments. I need more laughter today. Angela: Madonna- Isla Bonita "Last night I dreamt of some bagels." (Instead of last night I dreamt of San Pedro. Amanda: Crystal Gayle's "Don't It Make My Brown Eyes Blue". I was adamant that the lyrics were "donuts make my brown eyes blue". There was no arguing. Bill : REM - "Let's pee in the corner - let's pee in the spot..... light - losing my religion......"
She looks at him, holding two containers, and ask "breast or leg?" He smiles and says "I'll let you know after the chicken" She slaps his arm and laughs throwing her head back. OH MY...the conversations we get to hear. LMSP: Daddy where are you going? LMSP: He's going upstairs to play his video game? 😡 DADDY YOU BETTER NOOOTTTTT!!!! LMSP: Ugh, I can't even think right now! 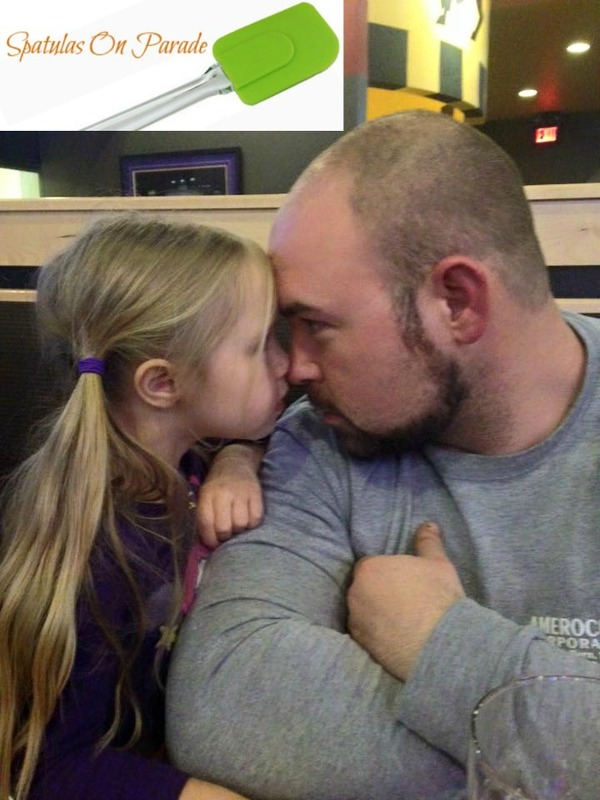 Jan. 15, 2016 My oldest son and his daughter LMSP...the stare down has begun and it is REAL - he claims he won but somehow I doubt it. So I'm driving my new route and every morning K ask me what I watched on TV the night before. Poor kid, he thinks I'm boring because rarely do I watch TV unless it is on my DVR. I'm too tired at night. So anyway, I got to him first. "Hey K, what did you watch on TV last night?" K replies, "oh no, that's a hard one, what did I watch? Oh yeah, The Bachelor"
I said, "OH NO! Did your sister make you watch it?" K, "NOOO I like girls that's why I watch it! Didn't you know that show is FULLL of girls!" I'm cracking up! He's 33 going on 12 and it was just so cute how he said it. Guy on the bus, he's talking on the phone. I hear "so how old are you? Oh 30, okay so like how many keds you got? None?! Why, you sound like you look okay so why you ain't got no keds?" She replies, "Because I know how to NOT have kids"
YES I speak their language. 2/4/16 My day was made! I'm driving my route and dropping off C. There are 3 of my (previously regular) passengers. S runs over "HEEEEY MS.Laadee! How you doing?" Then A comes over "HEY HEY MISS DAWN! Ah man I sure do miss you" They are called special, challenged, slow and other things. I call them sweet. I miss these guys but it sure did bring a grin to my face to see them at 0800 in the morning and I think I made their day as well. Later I go to the dr to pick up a passenger and there she is! My BooThang! LOL Ms. Nellie! I opened the door and she said "OH LAWD! I'm so happy to see you!" She gave me a big hug. I miss her too! It was a good day, even if it did rain 3 inches, winds of 20-40 mph and flooded roads. I saw some lovely smiling faces and was seriously blessed!! One of Hoover's friends came over and he hands her one of my sweet muffins, she took a bite and said "OH GOSH, this is really good! If you have any other food laying around that is leftover you just call me and I'll come eat it." I laughed and said, "Did you forget that T lives here?! Leftovers do not happen. IF I have any left they go on the top shelf of the fridge and when I get home from work the next day the containers are in the sink empty" She laughed and says "well if he gets sick and can't eat it, just call me." T aka Hoover says "Dawn you should feel good about your cooking my friends are asking to come over and eat, I told you, you're cooking is DANK!" Yes folks, he enjoys it. Dank by the way means awesome, terrific, fantastic, really really good.